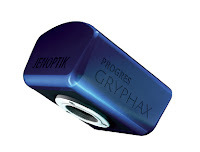 The Jenoptik Gryphax Arktur camera is a USB3.0 camera that uses a back illuminated sensor. This sensor allows light to be easily absorbed into the active layer of the senor and gives it a higher quantum efficiency. The Jenoptik Arktur 8 megapixel camera is a color microscopy camera created for research applications. The image below is ginko that was captured using a 10x objective lens under a lab microscope with the Arktur camera. 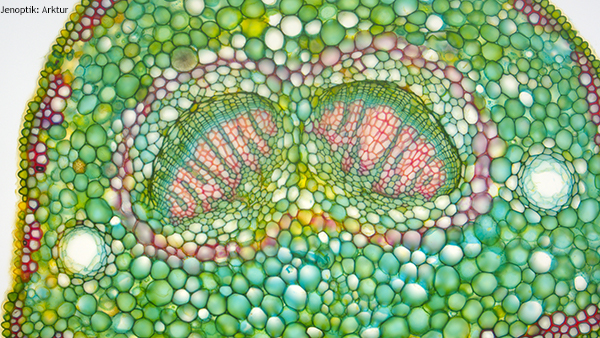 The image at the bottom of the page is the cross section of a pine needle with a 20x objective lens. Ginko captured at 100x with the Jenoptik Gryphax Arktur microscope camera. 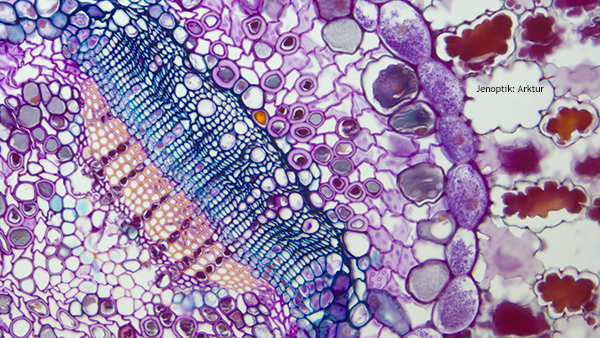 Pine cross section captured at 200x using the Jenoptik Gryphax Arktur microscope camera. View more images captured with the Arktur camera here. 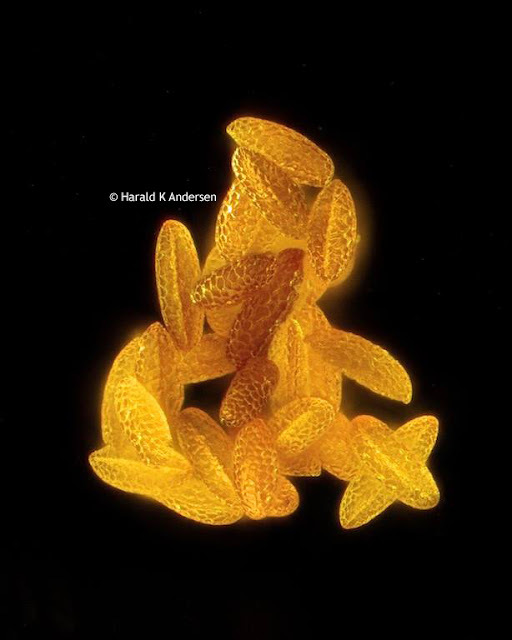 This is an image of lily pollen captured under a biological microscope at 150x magnification. The images were captured by Harald K. Andersen in Steinberg, Norway. 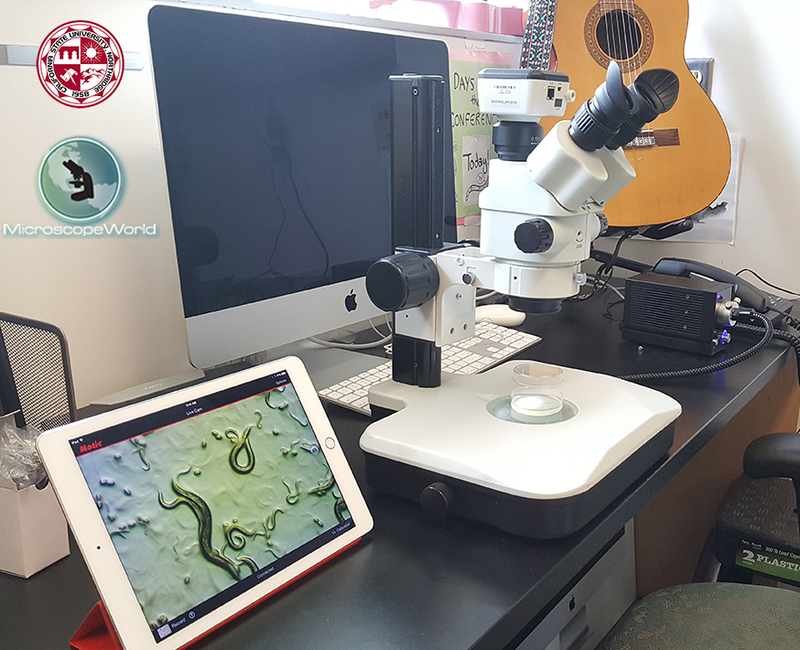 He captured 140 images in 2μm increments (manually) and then stacked the images together to create this beautiful 3D image. 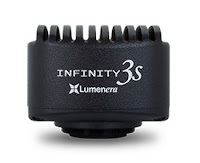 The Lumenera Infinity 3S-1UR microscopy camera is an ultra-sensitive camera that was designed to perform exceptionally in low-light conditions, which makes it perfect for fluorescence and NIR imaging applications. The high-speed USB 3.0 interface provides full resolution images a 60 frames per second. 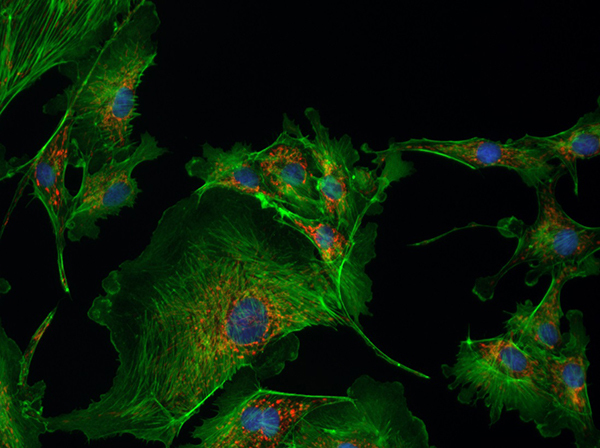 The image below is a fluorescence image of a BPAE sample that was captured using the 40x objective lens and the Infinity 3S-1UR microscopy camera. 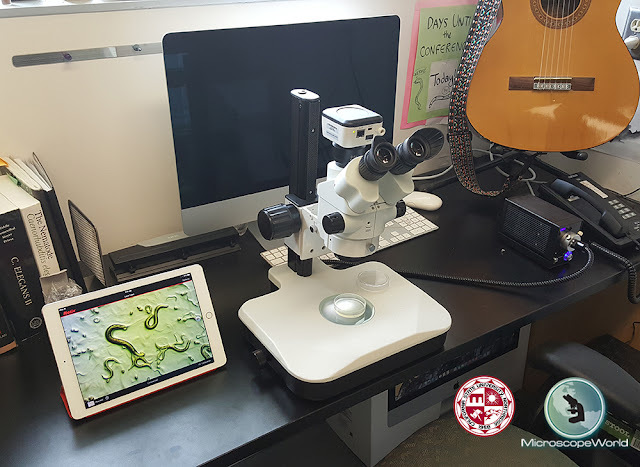 Fluorescence microscope image of BPAE sample captured at 400x using Infinity 3S-1UR microscope camera. View more images captured with the 3S-1UR microscope camera here. 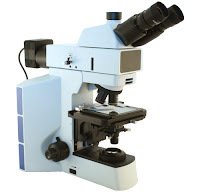 Sharper images with better resolution. The primary difference between a monochrome and color image sensor is the lack of a color filter array (CFA). 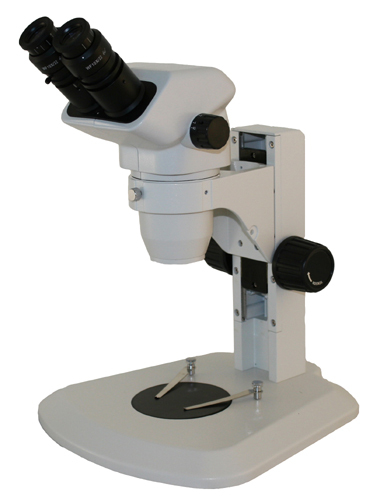 Microscopy cameras that are equipped with color filter arrays must interpolate the color data filtered out by the optical filter using a complex demosaicing algorithm. Because the data is interpolated and not measured, a margin of error is introduced. 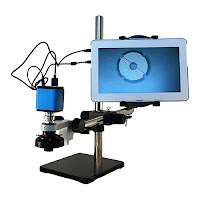 By removing the CFA, the added error is eliminated, resulting in a sharper image with a monochrome camera, and higher effective resolution since each pixel of the monochrome sensor contains a measured value that has not been influenced by its neighbor's value. The images below demonstrate this effect. Enlargement of a raw RGB image of a color chart. The image above shows an enlargement of a raw RGB image from a color chart. The color channels are displayed as seen by the image sensor with Bayer pattern, without demosaicing. Notice the pixels in the enlarged image at right. Enlargement of a raw monochrome image capturing the same color chart. The image above shows an enlargement of a raw monochrome image capturing the same color chart. Gray levels are consistent for each area with no Bayer pattern, and no demosaicing required. 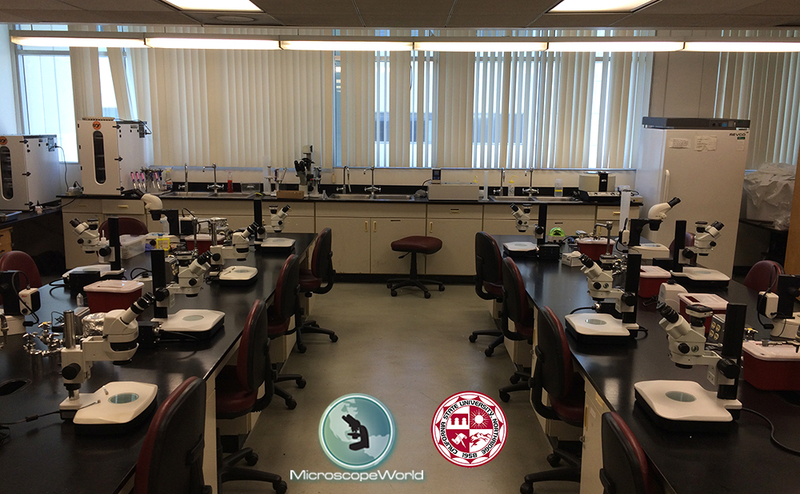 Notice the pixels in the enlarged image at right are much more clear. 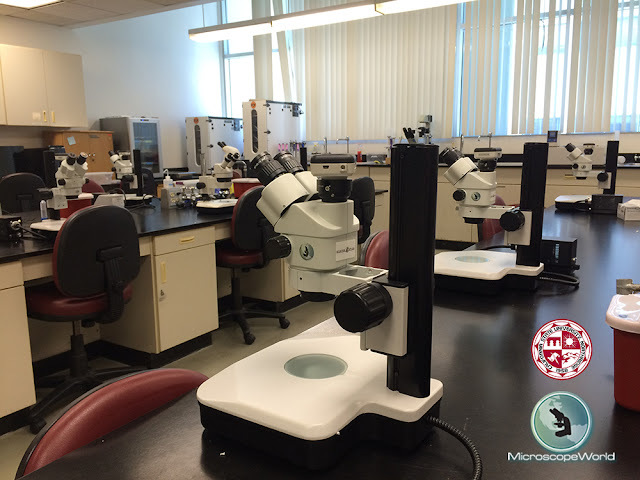 For a more in-depth look at monochrome versus color microscopy cameras, including more details and applications where monochrome microscopy cameras are preferred, view this page on Monochrome Microscopy Cameras. Source: info & images courtesy of Lumenera.